Sonia has been involved in veterinary practice since 1997 as an AHT. After taking time off to start her family, she then made the decision to continue her education and complete her RVT designation. A graduate with honours from Georgian College, Sonia has had the opportunities of working in private practice, specialty practice, and academia and has enjoyed the vast experiences that have come with them! With interests in expanding her knowledge of critical care medicine and avian and exotics, Sonia came to Campus Estates this summer and works in the overnight emergency services. 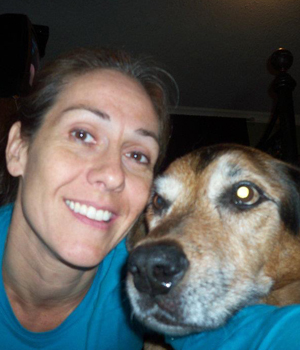 Sonia has always had a love for the senior pets; their comfort during fun and difficult times is her “niche” and she will devote the extra time she has to make sure of it! When she isn’t home with her husband, daughters, 2 dogs, 2 cats, and 2 parrots, you’ll find her either at the library or playing a mean game of roller derby!